In these notes we discuss two approaches to evolutionary \(\Gamma \)-convergence of gradient systems in Hilbert spaces. The formulation of the gradient system is based on two functionals, namely the energy functional and the dissipation potential, which allows us to employ \(\Gamma \)-convergence methods. In the first approach we consider families of uniformly convex energy functionals such that the limit passage of the time-dependent problems can be based on the theory of evolutionary variational inequalities as developed by Daneri and Savaré 2010. The second approach uses the equivalent formulation of the gradient system via the energy-dissipation principle and follows the ideas of Sandier and Serfaty 2004. We apply both approaches to rigorously derive homogenization limits for Cahn–Hilliard-type equations. Using the method of weak and strong two-scale convergence via periodic unfolding, we show that the energy and dissipation functionals \(\Gamma \)-converge. In conclusion, we will give specific examples for the applicability of each of the two approaches. The research of S.R. 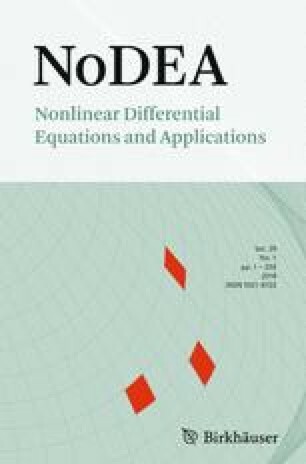 was supported by Deutsche Forschungsgesellschaft within Collaborative Research Center 910: Control of self-organizing nonlinear systems: Theoretical methods and concepts of application via the project A5 Pattern formation in systems with multiple scales. The research of M.L. was supported by Research Center Matheon under the ECMath Project SE2 Electrothermal modeling of large-area OLEDs.